The wildfire season isn’t over yet with big fires still burning in Ontario, and fire-related evacuations in Wyoming and Colorado. In post-wildfire news: West Fraser is harvesting timber burned in 2017; artificial intelligence is helping US insurance companies assess wildfire risk; charred forests in New Jersey are already bursting with new life; and Colorado residents are trying to make their scorched community a home again. In other headlines: Canfor Pulp extends downtime at Northwood Pulp; the Softwood Lumber Board hires Maureen Pello as VP Operations; and FPAC seeks federal investment to accelerate innovation. Finally; a UK report says the fear of accusations of greenwashing is causing some companies to downplay their environmental credentials. Washington, DC — As part of its aggressive five-year strategic plan and transition to new leadership, the Softwood Lumber Board announced today that Maureen T. Pello has been selected to serve as the SLB’s Vice President for Operations beginning October 1, 2018. Maureen is a seasoned professional with a successful track record at the U.S. Department of Agriculture guiding USDA check-offs and marketing orders to implement solutions that work for industry and USDA. She holds a Bachelor’s degree in Agriculture and an MBA in marketing and has 34 years senior level experience in management, business development and working with Agriculture boards of directors. “As part of the SLB’s succession process we determined that Maureen is the right leader to take over as VP for Operations for the SLB,” said Marc Brinkmeyer, chairman. A successful and growing partnership between two First Nations communities in the Cariboo Chilcotin is the recipient of a 2018 BC Indigenous Business Award. Cariboo Aboriginal Forestry Enterprises – formed two and half years ago by the communities of Esk’etemc (Alkali Lake) and Tl’esqox (Toosey) — will be awarded a 2018 Outstanding Business Achievers award at a gala on Monday, Oct. 15 in Vancouver. …“It is unique because it is two different nations working together — Secwepemc and Tsilhqot’in,” said Gord Chipman, a registered professional forester who initiated the partnership and manages it with Craig Kennedy from Chilcotin Plateau Enterprises. …They installed the processor in West Fraser Plywood plant’s yard and processed logs the plant couldn’t use. VANCOUVER – Canfor Pulp Products Inc. announced today that it will extend its scheduled maintenance outage on one production line at its Northwood Northern Bleached Softwood Kraft Pulp mill located in Prince George, British Columbia. The outage is to enable necessary tube replacements to its No. 5 recovery boiler to rectify damage discovered during routine preventative maintenance inspections. Based on a preliminary review, the Company currently estimates that the extended downtime will be approximately 70-80 days with a reduction in production of NBSK pulp of 60,000-70,000 tonnes, as well as higher associated maintenance costs. Canfor Pulp will continue to operate the second production line at the Northwood Pulp mill over this period. Due to the mitigation efforts by Canfor Pulp, the temporary outage is not expected to have a material impact on the financial condition of the Company. The recent announcement of Woodgrain Millwork purchasing three Eastern Oregon Boise Cascade facilities raised a lot of questions about the future for employees impacted by the sale. …Woodgrain has agreed to take over the Boise Cascade lumber mills in La Grande and Pilot Rock and the particleboard plant in Island City. This transaction does not include the plywood mill or the powerhouse and log utilization center in Elgin. Tanner Dame, the corporate marketing manager for Woodgrain, told The Observer many details of the transaction remain pending during the 60-day due diligence period. …He couldn’t say for sure whether there would be layoffs. He said those decisions can’t be made until Woodgrain completes the due diligence process. Last spring, Finland’s sawmill industry said that pulp mills’ growing hunger for wood and the rising price of raw lumber had cut profit margins to almost nothing. It warned that some sawmills might have to shut down. That has not happened, though. “The situation has improved thanks to better prices for our products and growing markets for by-products,” says Kai Merivuori, managing director of the Finnish Sawmills Association. He says that exports to Asia and Europe are keeping Finnish sawmills alive. When asked where the most room for growth is, Merivuori replies, “China, China and China.” …The domestic market accounts for about a quarter of the sawmill industry’s sales… Kopra would like to see a sharp boost in domestic sales. …Finland’s sawmills use almost entirely domestic timber – and increasingly have to compete for it with the pulp and paper sector, which has been making large investments and mill expansions. More than 400 people attended the annual TTJ Awards last Friday, with guest speaker and host Jo Caulfield providing the entertainment at new venue the InterContinental Hotel in Park Lane, London. James Latham won the overall Timber Trader of the Year award, sponsored by the Timber Trade Federation. Panels Trader of the Year, sponsored by Medite SmartPly, was won by Panel Supplies and International Plywood won the Plywood Trader of the Year, sponsored by W Howard. Softwood Trader of the Year, sponsored by Lonza Wood Protection, was scooped by MDM Timber and Brooks Bros won the Hardwood Trader of the Year, sponsored by the American Hardwood Export Council. Joinery Product Supplier of the Year, sponsored by James Latham, saw XL Joinery win yet again, while Brooks Bros triumphed in the Flooring Trader of the Year. One could not expect anything but transparency from the 2018 sponsor for the Sustainability Awards’ Achievement of Merit, Innowood Australia. As part of their commitment to sustainable development they have invested in the certification of their products through a number of reputable third parties, leading the way in promoting good business practice and preventing misinformed specification decisions among architects and designers. Third party certification from reputable groups such as Standards Australia, CodeMark, or the Green Building Council of Australia’s (GBCA) Green Star program help provide consumers with the ability to make informed decisions regarding the products they purchase or specify. This is important for a number of reasons, but all of them are linked to encouraging more sustainable business practices within architecture and design. The FSC acknowledges stakeholder concerns about the credibility of its ‘controlled wood’ standard and is inviting feedback on its review. 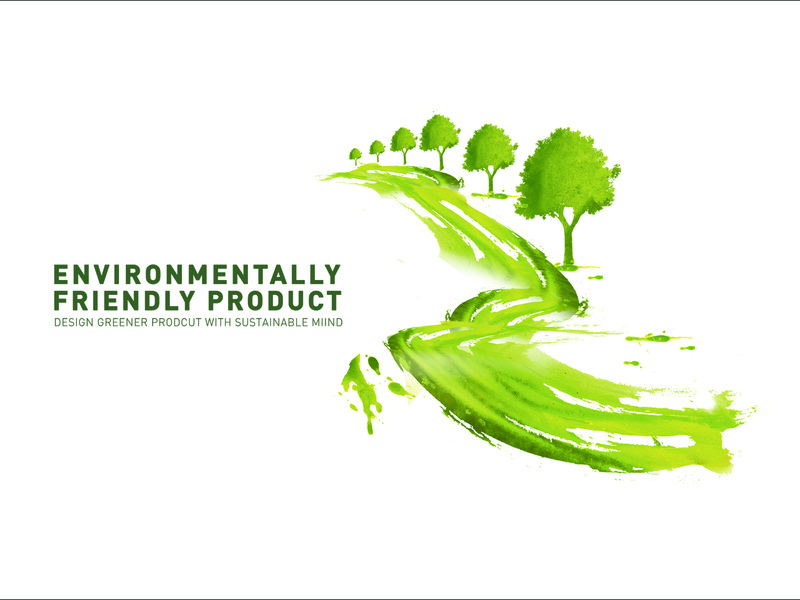 There are three FSC labels: FSC 100%, FSC Mix and FSC Recycled. FSC controlled wood is uncertified virgin wood or wood fibre that can be mixed with FSC-certified material in products that carry the FSC Mix label. The mixing of FSC and non-FSC materials in FSC products has helped to enable the growth of FSC. However, this mixing has created a conflict between credibility and accessibility. FSC has been engaging with stakeholders for more than two years to agree on a shared vision for the future of ‘FSC Mix’ products and the controlled wood used to produce them. IKEA uses a lot of lumber. …Is IKEA callously felling old-growth forests to prop up our old college textbooks? No, for years it has sourced its lumber from forests certified by the Forest Stewardship Council. But you won’t see that fact trumpeted on the box or in the catalogue. IKEA keeps that indicator of environmental uprightness to itself. IKEA isn’t alone. We noticed a few years ago that other large organizations are often remaining silent about their certifications and achievements. Why would a company that has qualified for a prestigious environmental certification keep the news to itself? … Strangely, some firms elect to remain silent and leave that value on the table. …Consequently, our findings suggest a word to the wise: that policymakers, NGOs, and other activists interested in promoting socially responsible practices should be careful that their efforts to monitor corporate accountability do not stifle the very practices they intend to encourage. Three letters in response to September 23 story: Beetle may have fuelled BC wildfires, experts say. …A healthy and stable ecosystem is able to keep the population of every species in balance. In this case, there is barely any chance for a pest attack to happen. On the contrary, ecosystems with poor biodiversity tend to be unstable and less tolerant to changes in the surrounding environment. That is why beetles in B.C. could eat up all the pine forests, leaving dead trees that boost wildfires. …Removing the dead trees affected by the pine beetles sounds like an effective short-term strategy to combat wildfires. However, these efforts would go to waste if the beetles continued to ravage other trees. ..Dead or alive, the forests of B.C. are home to numerous species and need to be preserved. National Forestry Week is a time to celebrate our forestry heritage in this country and highlight our stewardship of the forests which are the basis for the economy and our lifestyles that we enjoy in communities like Williams Lake. West Fraser plays a big role in the stewardship in these forests: this summer we participated in a new strike team concept along with the other licensee groups working with the BC Wildfire Service. The concept was to have cohesive and agile teams of line locators, contractor equipment and leadership by staff to quickly ribbon out and have equipment low bedded to the fire and construct fire guards to allow BCWFS staff to put pumps and hose onto the fires. Using funding from the Forest Enhancement Society, we have sponsored a fuel break project in the Anahim Lake area. By Zander Chila, Sierra Club B.C. …A recent report on forests and water from the International Union of Forest Research Organizations stresses the role of forests in the water cycle. 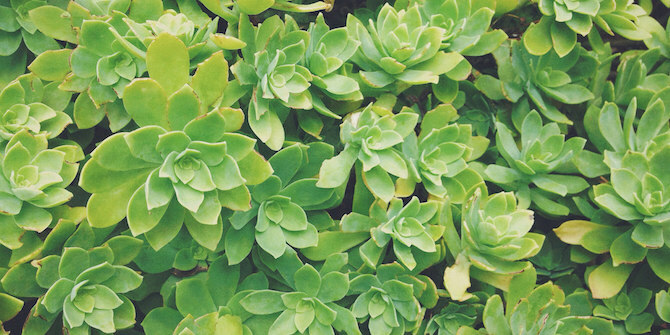 …Plants lose their water to the atmosphere through pores on their leaves. …The water stays in the air in the form of clouds, where it is carried for eight or nine days by the wind before being released as rain. …In this way, rainfall and groundwater are recycled through local plants back into the atmosphere. …That’s great—until you consider the state of our forests, particularly B.C.’s globally rare coastal and inland temperate rain forests, which are in danger. …It’s time for the people of B.C., Canada, and the world to stand up for the forests we rely on. The emerald ash borer is one tough beetle. The presence of this invasive tree pest, which has killed millions of ash trees across North America, was confirmed for the first time in Nova Scotia last week. The ash borer is among several tree pests that have moved into the province in the past couple of years, including the hemlock woolly adelgid (an aphid), the spruce longhorn beetle and the southern pine beetle. 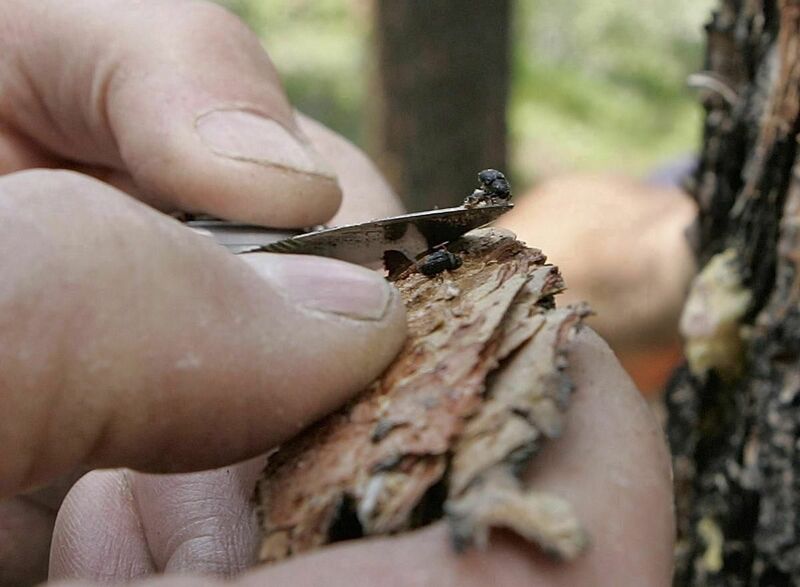 But “it’s a lot tougher” than species such as the southern pine beetle… said invasive insect expert Corey Lesk. The ash borer can withstand temperatures as low as -30 C. …The emerald ash borer first appeared in Canada in about 2002, likely carried in wooden pallets on a container ship from the United States. Study: National parks are getting hotter, drier. What’s the outlook for 2100? Wildfires in the U.S. have become more common and catastrophic than ever before. …Insurance companies rely on third-party wildfire risk models and maps produced in the early 2000s to assess the risk of homes to the threat of wildfire. However, in 2017, these models performed poorly. …In addition, the data that insurers rely on can be flawed. Data is often self-reported by the insured or an agent, extrapolated or just simply missing. …The ubiquitous accessibility of high-resolution, multispectral aerial imagery enables insurance companies to remotely inspect homes. Recent advances in computing power and algorithms allow for imagery to be analyzed more quickly and cheaply than humans ever could. The Silvis Lab at the University of Wisconsin has done some great work studying the causes of wildfire and incorporating those factors into statewide maps. Though it appears destructive, fire in the New Jersey Pinelands is a force of renewal. On April 22, a spring wildfire roared through Penn State Forest in the New Jersey Pine Barrens, sending 100-foot flames shooting from the crowns of the pitch pines. …A week later, even as ash still swirled through air heavy with the creosote scent of burned resin and a cedar log smoldered at the edge of a swamp, the forest was being reborn. Pine cones that open only under extreme heat had released their seeds. Though the trees themselves were charred, almost all survived the fire. Where chest-high blueberry and huckleberry had burned down to pointy stubs, tufts of grass were sprouting. Destructive fires in the West dominated the news this summer, but for eons fire has been not just an inevitable feature of the landscape, but essential to the forest’s health and continuity. BLACK FOREST — For more than five years after the most destructive wildfire in Colorado history, Bill Mantia methodically cleared the charred skeleton of a forest from what once was his 20-acre parcel of paradise. Every day it went like this: Cut down a dead tree, saw it into smaller pieces, stack the wood, haul the pile away. Plant new seedlings that stand only half a chance of survival, sow wild grasses to thwart erosion, buy and install a smattering of larger trees to punctuate former woodlands turned into a denuded meadow. …This is the firefighting that most people never see… the work of making a scorched community home again. With more than 450,000 acres and hundreds of homes burned so far this year in Colorado, it is work that many across the state are only just beginning. A Stoddard man will be one of 11 foresters from across the country to receive a national award next month. Geoffrey T. Jones has been named a recipient of a Presidential Field Forester Award, which is given annually to one forester from each of the Society of American Foresters’ 11 districts, according to a news release from the organization. Jones is from District 6, which covers New England, New York and Quebec, Canada. The award recognizes foresters who are dedicated to the “application of forestry on the ground using sound, scientific methods and adaptive management strategies,” the release says. …His previous awards include the Northeastern Loggers Association’s Outstanding Contributions to Forest Industry Education in 1993, and the association’s Outstanding Management of Resources Award in 2006, according to the release. 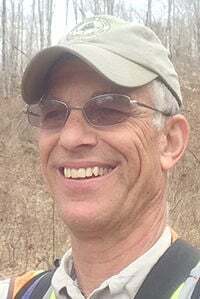 He also received the New England Society of American Foresters’ Austin Cary Practicing Professional Award in 2006, and the New Hampshire Audubon’s Tudor Richard Award in 2011. A tiny amphibian takes center stage in the first case of October 2018 term. The dusky gopher frog is native to the forested wetlands of the southern coastal United States, with a historical range from the Mississippi River in Louisiana to the Mobile River delta in Alabama. …In 2001, the U.S. Fish and Wildlife Service declared the dusky gopher frog endangered under the Endangered Species Act. 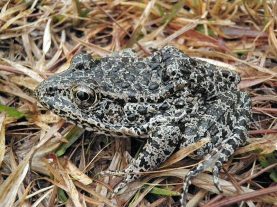 In 2012, the service designated the dusky gopher frog’s “critical habitat. …After Weyerhaeuser’s challenge to the critical-habitat designation of Unit 1 was rejected by the lower federal courts, the Supreme Court agreed to weigh in. …The justices will consider two issues: whether the service’s designation violated the ESA and whether its decision not to exclude Unit 1 was reviewable. Over 1000 hectares of timber plantations have been destroyed by fire which started last week in Chimanimani, presenting a major blow to the country’s timber industry whose future is already bleak due to continued destruction. Following years of investments to grow the timber industry, it is sad for one to wake up and see the plantations being destroyed by fire in a single day. Such is the situation affecting timber plantations in Chimanimani with the recent fire outbreak destroying over 1000 hectares and leaving farmers counting losses amounting to millions of dollars. 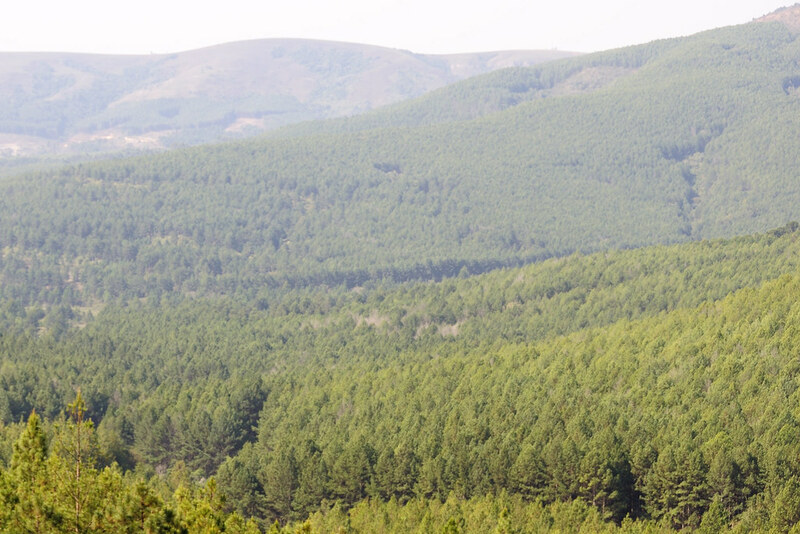 One of the affected farmer, Mr Joshua Sacco, who is also Chimanimani East legislator, said the unfortunate incident destroyed over 400 hectares of his plantation, with the loss crippling his financial power to revive the timber plantation. NORTHERN VANCOUVER ISLAND, B.C. 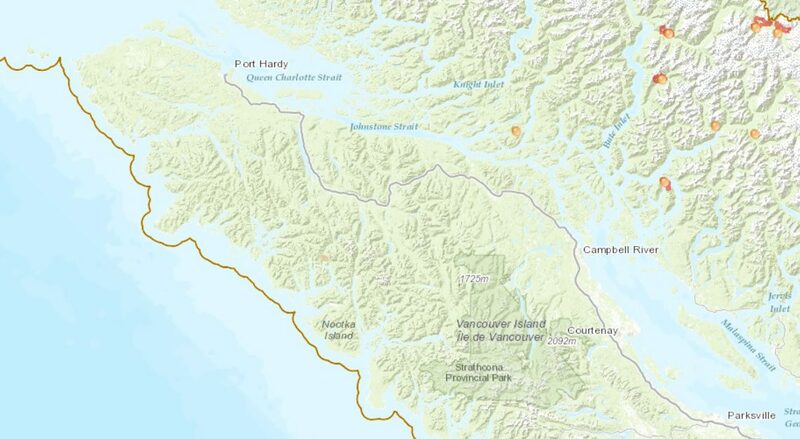 – Even with fall officially upon us, the wildfire situation is still lingering across Northern Vancouver Island. All told, 47 wildfires are currently burning north of Gold River. “Given the number of fires and the size that some of them go to this summer, that’s not unusual for this time of the year,” Coastal Fire Centre information officer Natasha Broznitsky said. All of the fires are considered under control, meaning they aren’t expected to spread beyond their current boundaries. The focus now is to demobilize, as well as removing firefighting gear off the wildfires, and, through the creating an action plan, to rehabilitate areas impacted by wildfires. The amount of rain in the region has also helped lower the fire behaviour in the region. There may only be a handful of forest fires still burning across the province, but they’re big ones. They include Kenora Fire 71, which is still more than 10,000 hectares — or 25,000 acres — in size. However, that’s not the largest. North Bay 72 measures more than 27,000 hectares, that’s upward of 66,000 acres, or 50 per cent larger than the City of Winnipeg. Parry Sound 33 is just over 11,000 hectares, or about 27,000 acres. 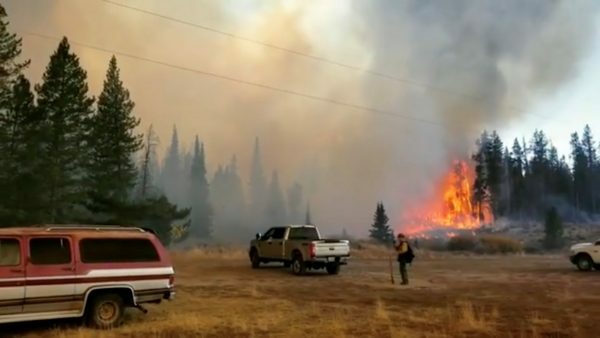 PINEDALE, WYOMING—A wind-blown wildfire that has forced the evacuation of hundreds of homes south of the resort town of Jackson, Wyoming on Sept. 23, prompted officials to close 50 miles of a key highway traveled by tourists to reach Grand Teton and Yellowstone national parks. The Roosevelt fire has scorched nearly 40,000 acres of drought-parched landscape and destroyed at least four structures, including two dwellings, since erupting Sept. 15 in the Bridger-Teton National Forest about 30 miles south of Jackson. Hundreds of firefighters battled across steep, forested terrain and bone-dry sagebrush flats to push back flames driven by winds gusting to 50 miles per hour. Several Colorado wildfires raged into the fall season with several growing bigger and more threatening under drought conditions. Leading the advancing wildfires was the Ryan fire in north-central Colorado and Wyoming. Over the weekend, it raced through beetle-kill forests, increasing its size more than sixfold to 19,328 acres. …Ryan fire: The wildfires, which is 27 miles northwest of Walden, grew by 5,699 acres on Saturday and 10,643 acres on Sunday. …Silver Creek fire: Although the fire grew by more than 5,000 acres over the weekend, fire crews were able to gain 50 percent containment over the weekend. The fire was at 35 percent containment on Friday. …Bull Draw fire: The wildfire grew 2,642 acres over the weekend and is now at least 36,442 acres in size. It is now 70 percent contained. Tom Welton, general prevention services director at Workplace Safety North, was recognized as 2018 Volunteer of the Year by the Board of Canadian Registered Safety Professionals (BCRSP). He was presented the award at the Canadian Society of Safety Engineers conference in Niagara Falls, Sept.16-19. …Welton has more than 30 years of experience as a health and safety professional in the forestry, pulp and paper industry. He has held numerous positions with the Ontario Forestry Safe Workplace Association, which was amalgamated into Workplace Safety North in 2010 and is headquartered in North Bay.